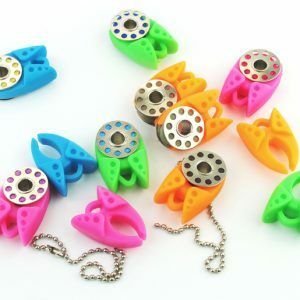 Pack of 12 Spool Huggers. 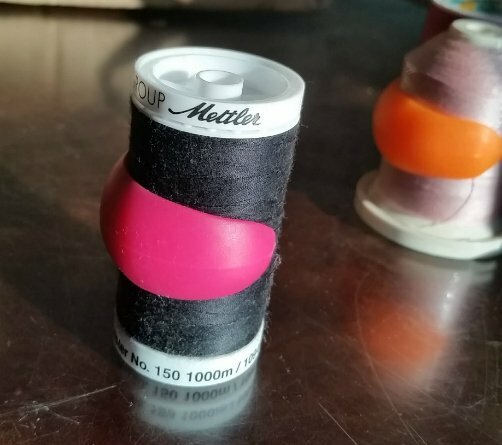 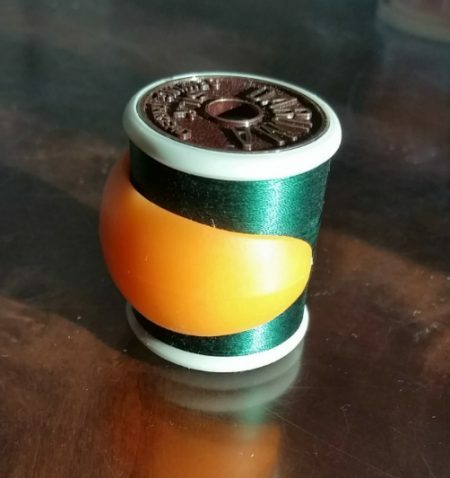 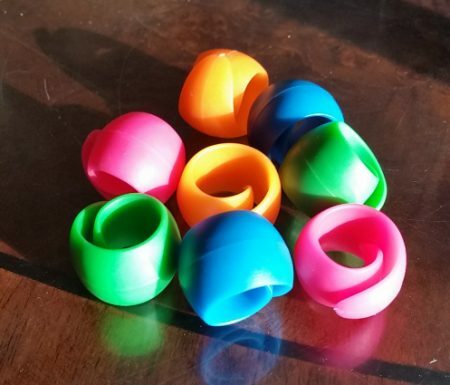 These little spool huggers are just the thing to stop those annoying occasions when the spool drops & runs away, leaving a trail of thread behind. 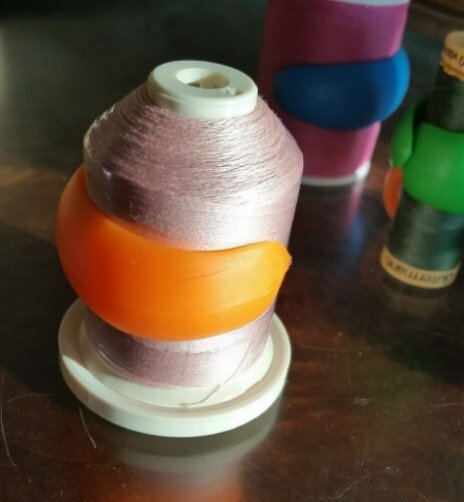 Even in your sewing box, keep all your threads tidy, no more threads tangling together and making a mess! 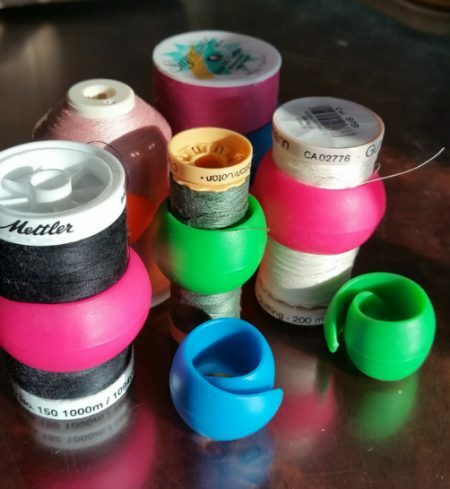 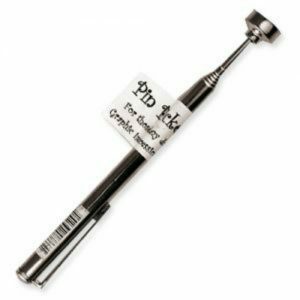 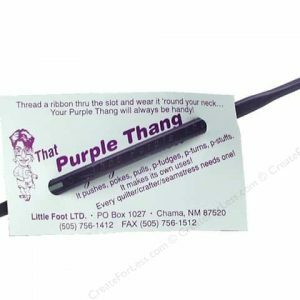 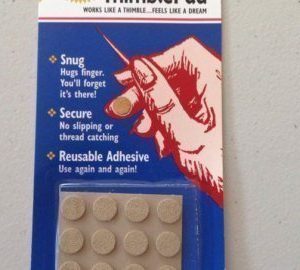 They fit lots of different sized spools, short, tall, fat, thin – for the fat ones, you just put put the hugger over the loose end of thread and it still does the job (you can see in the photos).